“Monsters University” easily graduated at the top of the box-office class this weekend – even as “World War Z” finished with a better-than-expected grade. “World War Z” Set to Become Brad Pitt’s Biggest Opening Weekend Earner; this zombie apocalypse title is expected to gross more than $60 million in its debut. The story revolves around United Nations employee Gerry Lane (Pitt), who traverses the world in a race against time to stop a pandemic that is toppling armies and governments and threatening to decimate humanity itself. Anyone who knows me, knows I love a scary movie. In fact, it irritates my husband to no end to sit next to me in a movie theater when we see a horror flick. What can I say? I think the adrenaline rush when the creature jumps out of the abyss is the best! As long as I can remember, I’ve watched these types of movies. In fact, I remember how disappointed I was at 20 years old when I, and along with some college friends, went to check out ‘Night of The Living Dead’ at the movies. We’d heard it was terrifying and a ‘must see’ of the year. So we gathered into our seats ready to scream our heads off. To say it was mediocre would be an understatement. I thought it was more comical than frightening. Reminiscing on that piece of cinema history, I see a trend that has caught on in the last few years; zombies. Movie after movie has been released featuring the ‘undead’. From the quirky love stories like “Warm Bodies” to the classic flesh hungry hunter zombies in “28 Days” and now “World War Z”, we are seeing a resurgence of zombie activity. It’s kind of funny that these half living, half dead beings just don’t seem to go away. And as usual, art imitates life. Whether at work, in a social setting or even at home, you run the risk of encountering a different type of zombie. An energy zombie! Energy Zombies usually attack when you are distracted: Take notice when you run into people who zap your energy. They seem to feed off negativity and are never shy in sharing the latest bad news. These zombies mask themselves as ‘realistic’ and brag about keeping things real. But they are really cynical and filled with a poison that will stop your progress. When you are riding high on positivity, avoid these zombies at all cost. Energy Zombies feed from the creative ideas you have: Sometimes we share too much of our dreams. I heard Dr. Brené Brown say, “People should qualify to hear your most intimate thoughts.” I totally agree. Often we are so needy for attention we will accept it from anyone, even if we know they lack good intentions. Energy zombies come around and we begin to release our dreams just to have them shoot it down. No matter how excited we are, they seem to be able to drag us back down to earth. That is exactly why we have to keep them at a distance. Energy Zombies are easy to escape because they don’t move forward: I always wondered why people fall down and scream when being pursued by zombies. After all, they are dead and don’t move very fast. In my mind, all they have to do is run in a straight line to get away from them. Energy zombies are just like that. If you want to get away from an energy zombie, get focused, set a goal and begin action quickly. You will leave them in the dust. 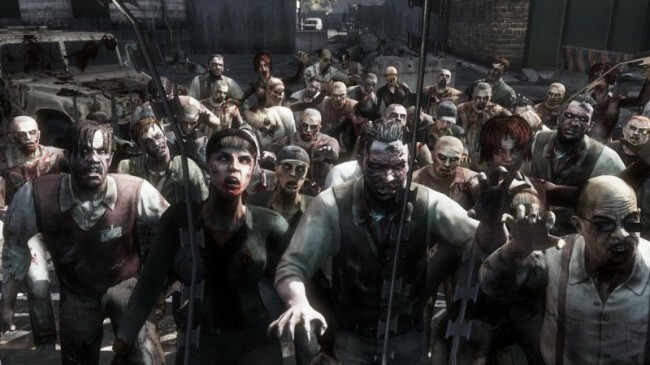 The last thing a zombie wants to do is move forward with any speed. They won’t be able to keep up while you’re chasing your dreams. The zombie fad doesn’t seem to be going anywhere. They have invaded our movies, televisions and gaming systems. For the life of me I don’t get our obsession with the undead. Whatever it may be, there is also a real threat of energy zombies we see daily. Just because they move slow doesn’t mean they won’t creep into our lives. If I have learned anything, I know for a fact that you have to make sure the zombie is out of commission. You can’t defend yourself halfheartedly and expect to survive a zombie apocalypse. If you want to see a great thriller that will give you some pointers on handling zombies be sure to check out Mr. Brad Pitt in “World War Z.” Spoiler alert: These new and improved Zombies were moving pretty fast!